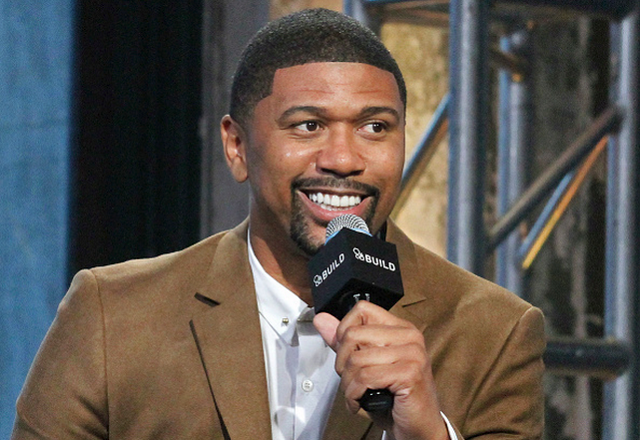 Jalen Rose is an optimist, which is one reason why he’s been so successful on TV and radio. One of the casualties of the 1990s Michigan basketball scandal in which booster Ed Martin was revealed to have paid several players — other than, you know, Michigan having to forfeit every win the program had from the 1991-92 season and from 1995 to 1999, also vacating two Final Four appearances and a NIT title — was the friendship between Rose and Chris Webber. The relationship deteriorated going back to the “Fab Five” days in Ann Arbor, but essentially crumbled during the scandal when Rose called out Webber for distancing himself from and insulted Martin, who took care of the star financially. The fissures in their friendship developed into chasms when the “30 for 30” documentary The Fab Five was broadcast on ESPN in 2011. Webber claimed he wasn’t contacted about participating in the film until the last minute, which was disputed by Rose (and teammate Jimmy King). Rose has a new book out now, titled Give the People What They Want, and wrote about his falling out with Webber and subsequent feud, revealing that the two haven’t spoken in five years. The ESPN NBA analyst also wonders in the book why Webber, if he wasn’t approached until late in the process as he claims, then met with HBO Sports and then-president Ross Greenberg. Was he interested in talking about the infamous timeout during the 1993 NCAA championship game or his grand jury testimony, in which he was indicted for lying, to Greenberg, but not to Rose or producers of the Fab Five documentary? Rose also believes that a source of contention between the two is a disagreement over whether or not to help teammates who weren’t as successful after their college careers. Despite all that, Rose believes he and Webber will be friends again because they’re more like family. As a Michigan fan who grew up watching the two back to their high school days, it’s always saddened me that the two are so publicly at odds. Perhaps if and when the school fully acknowledges the accomplishments of the Fab Five era (Rose, King and Ray Jackson were honored during a game in 2010) and invites everyone back to the program, Rose and Webber will finally have their reunion and let bygones be bygones. Until then happens, it will surely be a frequent sticking point and with both former players now prominent broadcasters, their broken friendship is sure to be a topic of painful discussion again. Let’s just hope Webber doesn’t write his own book with his side of the story that keeps this feud brewing for many more years.